The Hampton Roads Chamber will welcome and recognize those who have moved into leadership positions this year, including Old Point's CFO, Jeffrey Farrar! The breakfast will take place on Wednesday, November 15th from 7:30am-9:30am at the Founders Inn and Spa in Virginia Beach. 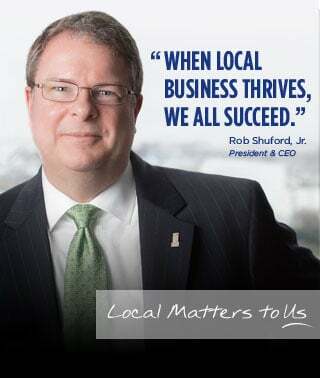 This annual event gives the business community in Hampton Roads and elected leaders the opportunity to show their support for these individuals. For more information, visit http://bit.ly/2lEfhur.